Our service department keeps a large inventory of factory OEM parts in stock at all times, because we know how important it is to fit the vehicles we’re servicing with genuine Mercedes-Benz parts. In fact, using factory parts over aftermarket parts can be the difference between having a car that lasts for ten years or more and a car that dies out prematurely. 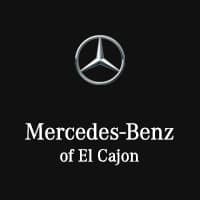 Whether you’re looking for maintenance, repairs, or accessorizing your vehicle, you can ensure you’re getting the right product at a fair price by purchasing your parts and accessories directly from our parts department at Mercedes-Benz of El Cajon. All you have to do is place your order online, and we’ll give you a call as soon as it’s ready to pickup.